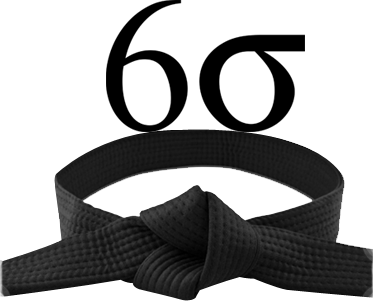 This Lean Six Sigma Black Belt Certification training course prepares you for the IASSC Six Sigma Black Belt certification exam and teaches the essential skills to implement Lean Six Sigma techniques and approaches at the Black Belt level. Organizations utilize Black Belts to implement and manage both large and small scale projects. Six Sigma Black Belts are highly coveted and are generally employed as project team leaders. This course studies various Lean Six Sigma problem solving techniques from descriptive statistics to complex design of experiments. This focuses on developing a participant’s capability to effectively execute Lean Six Sigma techniques to solve problems or improve processes that affect corporate performance in lead time, quality and cost. Hong Kong's best Lean Six Sigma Black Belt Training courses are run by Black Belts and Master Black Belts in Hong Kong wide. This Lean Six Sigma Black Belt Certification Training course can be delivered at your premises by one of our expert local or international trainers or live online using our HIVE technology. Learn how our Orgmenta helps us tailor the course to you, and provides you with better reinforcement and support to implement what you learned in class. The PD Training materials are much more than simple tools training. This curriculum is formatted in such a way that the problem solving strategy is demonstrated throughout the course. By utilizing various Statistical and Business Improvement tools participants can clearly see and communicate the flow and process of the methodology in order to instill both the tactical and strategic aspects of the LSS Black Belt skill set. These very training materials are the industry standard used by thousands of industry trainers, coaches and mentors to train Lean Six Sigma Black Belts around the world. LSS Black Belt Define Phase - The Define Phase of the DMAIC methodology is constructed to introduce the core fundamentals of Six Sigma. LSS Black Belt Measure Phase - The Measure Phase of the DMAIC methodology is constructed to introduce important Six Sigma tools for characterising your business issues. LSS Black Belt Analyse Phase - The Analyse Phase of the DMAIC methodology is constructed to introduce important Six Sigma tools for isolating critical factors. LSS Black Belt Improve Phase - The Improve Phase of the DMAIC methodology is constructed to introduce important Lean Six Sigma tools for properly controlling solutions. 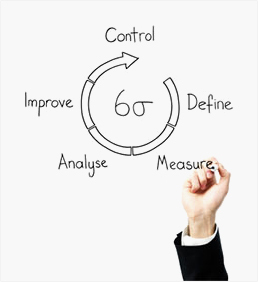 LSS Black Belt Control Phase - The Control Phase of the DMAIC methodology is constructed to introduce important Lean Six Sigma tools for properly controlling solutions.